Is there anything prettier than snowflakes? Well, ok... probably... But you have to admit, snowflakes are pretty. 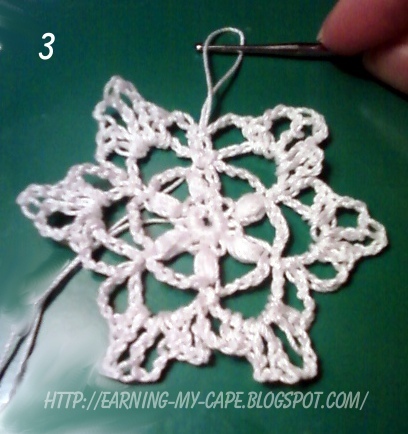 I wanted to see if I could make a couple of pretty snowflake ornaments to go on our Christmas tree... that we don't have yet, but that's beside the point. 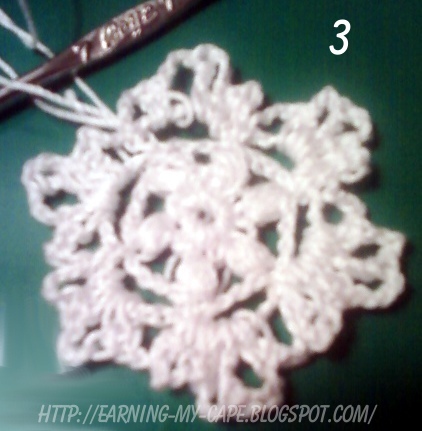 They are fairly simple to make. I'll tell you how. First, I must confess that I haven't quite finished mine. The snowflakes are flimsy. There. I said it. If you try to hang it on your tree just like this, they will flop. These snowflakes need to be starched first. Once they are starched, they should be nice and stiff and adorn your tree beautifully. Ch 3, join to first ch with sl st to form a loop. Round 1: Ch1, sc 12 in loop. Join to ch-1 with sl st. Round 2: Ch 3, [yo and draw a loop through same join st] 3 times, yo and draw through all loops on hook (beginning cluster made). *Ch 5, skip next sc, [yo and draw a loop through next sc] 4 times, yo and draw through all loops on hook (cluster made)* repeat around. Ch 5, join to top of beginning cluster with a sl st. (6 clusters made). Round 3: [Ch 9, sl st to top of next cluster] repeat around. Join to top of beginning cluster with a sl st. 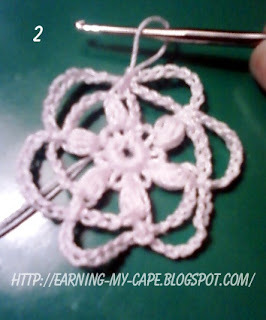 Round 4: [Ch 4, working in next ch 9 space, (dc 2, ch 3, tr, ch 3, dc 2, ch 4), sc in the sl st on the top of the next cluster.] repeat around. Join with sl st to beginning. Round 5: [5 sc in next ch 4 space, 4 sc in next ch 3 space, (dc, ch 3 then sl st in 3rd ch from hook to make picot, dc) all in the tr, 4 sc in next ch 3 space, 5 sc in next ch 4 space, sl st in the next sc] repeat around. 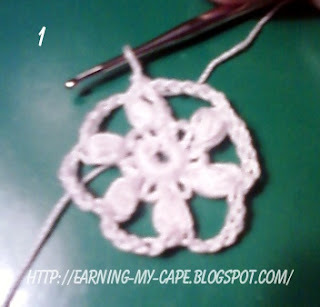 Loop and finishing: Join with sl st to beginning, ch 30, join with sl st to first ch made. Finish off and weave in all ends. Starch to stiffen. *Ch 3, skip next sc, [yo and draw a loop through next sc] 4 times, yo and draw through all loops on hook (cluster made)* repeat around. Ch 3, join to top of beginning cluster with a sl st. (6 clusters made). Round 3: [Ch 7, sl st to top of next cluster] repeat around. Join to top of beginning cluster with a sl st. Round 4: [Ch 4, now, working in next ch 7 space, (dc 2, ch 3, tr, ch 3, dc 2, ch 4), sc in the sl st on the top of the next cluster.] repeat around. Join with sl st to beginning. Click here for copyright and sharing info. Sorry, Jean! I should have included those! Love it Susie! 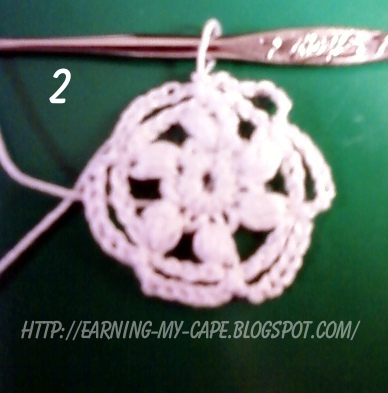 If only I had time to crochet things for myself these days. :) Maybe after Christmas! I can't crochet, but those are so cute I wish I could! Thanks so much! I love your party!!! 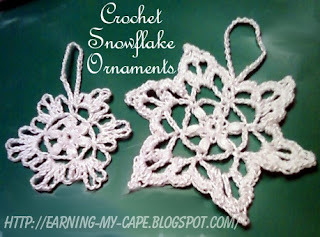 I love crocheted snow flakes, I've seen people cover them in white glue to stiffen them as well as starch. 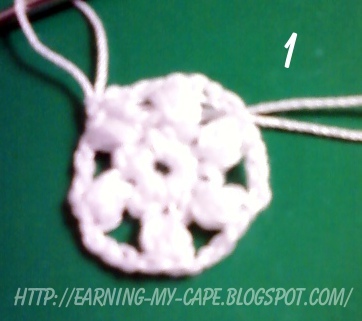 I've never had the patience for anything with a smaller hook than a N so I think I'd make some honking big snow flakes! Thanks for sharing at my Christmas Party! White glue is a great idea! Those are so pretty, Susie! I love them. I've never crocheted a snowflake before, so I will definitely use your pattern once I finish up all these other projects I've got going on. Thanks for sharing at Hookin On Hump Day! You are today's Feature of the Day.. These are so pretty Susie!